I’ve always been a fan of the Art of War. The Art of War have been around for thousands of years and I’ve applied it’s strategies to anything that I do in life. This includes marketing, entrepreneurship, sales, and just life in general. The Art of War is broken down into 13 intensive chapters. Even though, it might just sound like a simple war strategy book, every single chapter could be applied to closing deals and increasing sales. Let’s take a quick look at each chapter and how it can be applied to a sales team at a rapid growing startup. The first chapter talks about detail assessment and planning. The chapter explores the five fundamental factors (the Way, seasons, terrain, leadership and management) and seven elements that determine the outcomes of military engagements. By thinking, assessing and comparing these points, a commander can calculate his chances of victory. Whether you are managing a small sales team of 4 or a big sales team of 20, you want to ensure that you have good management skills. Sun Tzu explains that the Art of War is governed by five constant factors, to be taken into account in one’s deliberations, when seeking to determine the conditions obtaining in the field. These are: (1) The Moral Law; (2) Heaven; (3) Earth; (4) The Commander; (5) Method and discipline. The moral law causes the people to be in complete accord with their ruler, so that they will follow him regardless of their lives, undismayed by any danger. This can be compared to how well you treat your sales staff. Are you keeping your sales staffs motivated? Are they being rewarded or are they being spoiled? Do you give your sales staff a “family feeling”. This allows your sales staff to stay motivated, loyal and not burnt out. Seasons can be compared to timing. For example, do you know what time your prospect will be checking their email or the best time to shoot them a call. Calling a prospect in the middle of their deep sleep will ruin your chance of closing the deal. Monitor their social media and research into each one. Method and discipline could be explained as the sales process and your product’s outline. Do you know your product well enough to explain every little detail to your prospects? Do you have a good sales process mapped out? Aaron Ross talks about how you should never have one sales guy doing all the work. 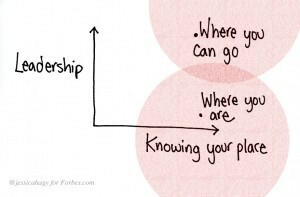 The sales process needs to be mapped out correctly. This chapter of the Art of War explains how to understand the economy of warfare and how success requires winning decisive engagements quickly. This section advises that successful military campaigns require limiting the cost of competition and conflict. Again, this is another chapter where Sun Tzu emphasizes the importance of leadership and keeping your team motivated. Sun Tzu says that, when you engage in actual fighting, if victory is long in coming, then men’s weapons will grow dull and their ardor will be damped. If you lay siege to a town, you will exhaust your strength. The key takeaway from this is to not exhaust your team. Having a SDR (Sales Development Rep) send out 200 emails every single day, might not be the most effective way in keeping them motivated. Try splitting their work and tasks. Have them focus on emailing in the morning and focus on calling after lunch. Switch things up and enjoy a little happy hour afterwards! This chapter talks about the source of strength as unity, not size, and discusses the five factors that are needed to succeed in any war. In order of importance, these critical factors are: Attack, Strategy, Alliances, Army and Cities. The best way to break down this chapter is to think about your competitors in your space. This chapter mainly talks about how to use different strategies in order to overcome your competitors and take the advantage. There’s also another key takeaway that people tend to ignore. You do not always have to go head to head with your competitor. You can always partner up with them. A partnership can be much more effective in the long run and both sales team can earn more money in the long run. The biggest takeaway from this chapter is the part where Sun Tzu talks about how, “You must know your enemy and know yourself, then you will win a hundred of battles.” The best sales people will know their own product in and out and they will know their competitor’s product in and out. One of the biggest questions that I always have to deal with when it comes to pitching to new clients is, “How do you differ from this company?” A good sales person should know exactly how their product is better and what are the advantages of your prospects using your product over your competitors. The last thing you want to do is enter a call and not know anything about your own product or your competitors. It helps to study both ends and the more practice the better. This chapter explains the importance of defending existing positions until a leader is capable of advancing from those positions in safety. It teaches commanders the importance of recognizing strategic opportunities, and teaches not to create opportunities for the enemy. The biggest takeaway from this chapter for sales team is being able to seize any opportunity that you come across. Don’t let things slip by and stay ahead of the game. Respond to all inbound lead request within 20 minutes for the best results. Take advantage of every opportunity that you come across and make the best of it. Winning a war with ease could be compared to closing a deal at ease. Shorten your sales cycle, have a sales process, double down on what’s working and stop using what’s not, grow the revenue and grow the team. This will help you close more deals with ease. This chapter of the Art of War explains the use of creativity and timing in building an army’s momentum. This is a very important and knowledgeable chapter. In this chapter Sun Tzu talks about how you can win battles regardless on the size of your team. He also talks about how the control of a large force should be the same principals as controlling a small team. Sun Tzu talks about the importance of communication, being organized, and having the correct structure. A good sales process starts off with high quality leads. If the leads are good, then the team will have to spend less time on closing deals and result in a shorter sales cycle. The second most important thing is the lead research. As Sun Tzu says, “You cannot win a battle where you don’t know yourself or your enemy or your allies.” Research your leads to learn the most about them and approach them based on your research. “Inbound” Lead Qualification: Commonly called Market Response Reps, they qualify marketing leads coming inbound through the website or 800 number. The sources of these leads are either marketing programs, search engine marketing, or organic word-of-mouth. “Outbound” Prospecting/Cold Calling 2.0: Commonly called Sales Development Reps or New Business Development Reps, this function prospects into lists of target accounts to develop new sales opportunities from cold or inactive accounts. This is a team dedicated to proactive business development.Highly efficient Outbound reps and teams do NOT close deals, but create & qualify new sales opportunities and then pass them to Account Executives to close. “Account Executives” or “Sales”, are quota-carrying reps who close deals. They can be either inside or out in the field. As a best practice, even when a company has an Account Management/Customer Success function, Account Executives should stay in touch with new customers they close past the close until the new customer is deployed and launched. Account Management/Customer Success: Client deployment and success, ongoing client management, and renewals. In today’s world of “frictionless karma”, someone needs to be dedicated to making customers successful–and that is NOT the salesperson! A good sales team should have excellent communication as well. This is also why it is hard to manage a remote sales team, but it can be done with modern technology and excellent communication. Ensure that there are weekly meetings with the team where the entire sales team goes over the KPI, goals, quotas, new strategies and training. Engage in one on ones with your team members to see if they are struggling and to learn more about them. This chapter explains how an army’s opportunities come from the openings in the environment caused by the relative weakness of the enemy and how to respond to changes in the fluid battlefield over a given area. Sun Tzu said: Whoever is first in the field and awaits the coming of the enemy, will be fresh for the fight; whoever is second in the field and has to hasten to battle will arrive exhausted. This is an important takeaway for sales team in the early stages. How many competitors do you have in the market? Is it a flooded market or is it still a fresh enough idea for you to sell out to. This goes back to knowing your competitors well. There are always going to be competitors, but the ones that enter the field first will always have the greater advantage due to the amount of time they already spent in this industry. Learn quickly and outsell your competitors. There are always advantages for being small and new. It means that you can spend more time focusing on each individual customers and building according to your customer while you learn more about them. Sales team can learn a lot from those lines. It is absolutely ok if your competitor has a bigger and more experience sales team, be creative and treat every customer like they are your own friends and you can win all the sales deals. Again, this quote explains the importance of being creative and doing things that don’t scale. Don’t follow your competitors path, come up with your own tatics and strategy to outsell them. This chapter explains the dangers of direct conflict and how to win those confrontations when they are forced upon the commander. Chapter 7 is more of a psychology mindset chapter. This chapter talks about what an army fights for. Sun Tzu said: In war, the general receives his commands from the sovereign. In general, you have to understand what your team members are striving for. Why are they working so hard to close deals? Why are they working so hard to research into each individual prospect/lead on a daily basis? Is it for money or for a sense of accomplishment or to buy that BMW M3? Engage in weekly one on ones with your team members and try to understand their life goals, values, and struggles and how you can help them achieve them through working hard. This chapter also talks about the different strategies applied to war and how you have to “think outside the box” to be successful. Find creative strategies to approach sales and not the traditional cold calling a random list from the Yellow pages. In other words, be creative and find a sales strategy that works well for your team. Find creative ways to surprise your competitors. This chapter talks about how a leader needs to focus on the need for flexibility in an army’s responses. It explains how to respond to shifting circumstances successfully. 1. Recklessness, which leads to destruction. 2. Cowardice, which leads to capture. 3. A hasty temper, which can be provoked by insults. 4. a delicacy of honor which is sensitive to shame. 5. over-solicitude for his men, which exposes him to worry and trouble. Sales leader can learn a lot from those 5 examples of why some leaders fail. Another key takeaway from this chapter is that a sales leader must be flexible in their strategy and management. A sales leader should always be testing new sales strategies/approaches and double down on the ones that work, while testing new ones at the same time. A leader should not be stubborn and should not stick with strategies that they think will work, but haven’t been showing results. Sun Tzu talks about how a good leader must treat their team members well or people will just move on with their careers and move onto another company. This chapter describes the different situations in which an army finds itself as it moves through new enemy territories, and how to respond to these situations. Much of this section focuses on evaluating the intentions of others. Chapter 9 talks a lot about positioning and how you can use position to your advantage. Camp in high places, facing the sun. Do not climb heights in order to fight. So much for mountain warfare. Moor your craft higher up than the enemy, and facing the sun. Do not move up-stream to meet the enemy. So much for river warfare. When you come to a hill or a bank, occupy the sunny side, with the slope on your right rear. Thus you will at once act for the benefit of your soldiers and utilize the natural advantages of the ground. This goes back to knowing your product well. Do you know what are your advantages vs your competitors? 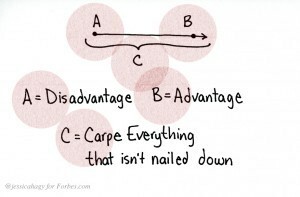 What are your disadvantages and how you can turn those into advantages? With these key points in mind, you should be able to feel confident about approaching anyone with your product and sales strategy. Always use your disadvantages as your biggest advantages. For example, you might be a much smaller team than your competitors, but because of this you can spend more time understanding each and every single of your customers and treat them like your closest friends. You can provide 24/7 one on one support, while the bigger companies cannot. This chapter looks at the three general areas of resistance (distance, dangers and barriers) and the six types of ground positions that arise from them. Each of these six field positions offer certain advantages and disadvantages. 1. People are matched with the right role and tools. 2. Ensure everyone is properly trained for their roles. 3. Make sure that there is demand for your team’s talents to ensure competitiveness and motivation. 4. Ensure all training plans are in place and that there is a solid career advancement roadmap. 5. Be prepared for the worst and be prepared to pivot any second or adapt to any new software/legal changes. This chapter describes the nine common situations (or stages) in a campaign, from scattering to deadly, and the specific focus that a commander will need in order to successfully navigate them. The art of war recognizes nine varieties of ground: (1) Dispersive ground; (2) facile ground; (3) contentious ground; (4) open ground; (5) ground of intersecting highways; (6) serious ground; (7) difficult ground; (8) hemmed-in ground; (9) desperate ground. When a chieftain is fighting in his own territory, it is dispersive ground. When he has penetrated into hostile territory, but to no great distance, it is facile ground. When an army has penetrated into the heart of a hostile country, leaving a number of fortified cities in its rear, it is serious ground. 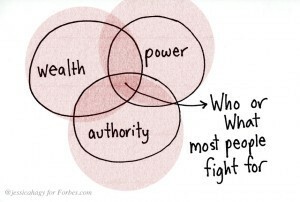 If you’re a new comer in your niche, then you are fighting on enemy’s ground. As mentioned above, you can always use your disadvantages as your advantages, but nevertheless you’re going against people who have been in the field longer and understand the game more. A strong takeaway is that a unified effort improves the likeness of success. Having the correct position and learning as much about the industry as you can improves the likeness of success. Find the “ground” that will give you the best advantage. If there are shared common interest and benefits, then a partnership might be better than going head to head. Partnering with another startup that is in the same position as you might benefit both teams when going against bigger teams. This chapter explains the general use of weapons and the specific use of the environment as a weapon. This section examines the five targets for attack, the five types of environmental attack and the appropriate responses to such attacks. This chapter might be a little confusing for most people because what does fire have to do with sales? What does burning another army’s camp have to do with closing deals? Sun Tzu brings up an important quote in this chapter, “In order to carry out an attack, we must have means available. The material for raising fire should always be kept in readiness.” This teaches us that in order to carry out successful operations, we must have the correct resources and should always have a backup plan incase things go wrong. For example if we just lost hundreds of thousands on hiring and failed sales campaign, we should have sufficient savings in our monthly budget to continue going forward with our other strategies. The biggest takeaway from this chapter is to always be prepared and stay ahead of the game at all times. Take advantage of every single opportunity that comes your way and make the most out of them. Chapter 13 focuses on the importance of developing good information sources, and specifies the five types of intelligence sources and how to best manage each of them. This chapter to me is one of the most important chapters because Sun Tzu talks about the importance of having good information. Sun Tzu talks about how you can use spies to gain valuable information about your enemies/competitors. Sending a “spy” into a competitor’s sales team is not necessary, but having good information is very important. One of the key factors to succeeding in sales is by listening to your prospect/customer’s pain points. Instead of jumping on a phone call and going off on how great your product is, try and listen to what your potential customers have to say about their current struggles. Use that information to your advantage and explain how your key features can solve those problems. Listen, Listen, Listen, and then ask questions to help you understand the situation more. Ensure that your sales team is up to date with the latest trends and new within your niche. Provide all the latest training for your team so that they are up to date with the latest information. Keep tab on your competitors using something like Mention.com to ensure that you are always ahead of the game. In addition to just gaining information about your competitor’s releases, you should also pay attention to people that is talking about your competitors. Try to convert your competitor’s customers that are struggling with their product to use your own product. I hope this article helped all the sales gurus out there! There’s a lot of valuable lessons to take away from the ancient strategies that still work in modern times. If you want to purchase the book, there’s a free kindle version here. Should You Sell Annual or Month To Month Subscriptions For Your Product?